Altoona Curve Join The MILB Mobile Auction Rage! The Curve will be using the LiveSource mobile app to offer fans opportunities for unique memorabilia and fan experiences. 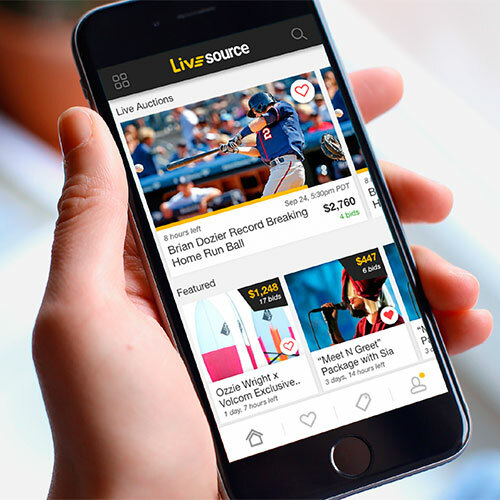 Specifically, the LiveSource app will streamline all of their specialty jersey auctions throughout the season and provide a better experience for fans bidding at the ballpark. Fans who are not in attendance at a particular game will have the opportunity to bid through the app as well. And for those fans who do not have a smart phone, the Curve will have a table set up at each jersey auction to assist fans in the bidding process. LiveSource partners can react instantly to initiate auctions for the fans while they are most excited – right then and there during the event. LiveSource auctions will allow Curve fans to support and connect with the team in a fun and exciting way by gaining in-the-moment access to authenticated memorabilia and experiences. By monetizing fan experiences and game memorabilia, LiveSource will create new avenues for quality fundraising that don’t necessitate months of advance planning and preparation. The LiveSource software is simple and easy to use, and it handles the entire sales process from posting to payment to arranging delivery.